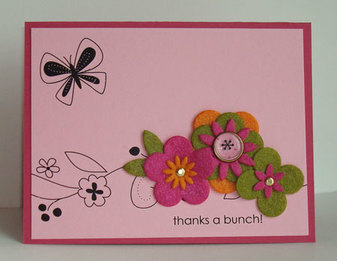 Another cute Flower Fusion stamp camp project! 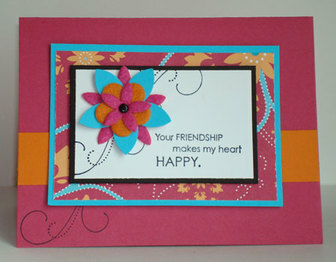 This one uses the Sale-A-Bration stamp set Friendship Blooms...love the swirls from this set! The Tempting Turquoise flower is from the 5-Petal Flower Punch (one of my favorite SU punches). Rub-on Fusion card - see details here.